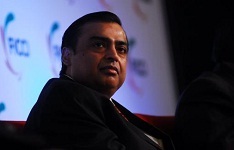 MUMBAI: Retail business will emerge as a major growth engine for the consumer segment of Reliance Industries while it will continue with its expansion in existing and new markets besides exploring new channels, company Chairman Mukesh Ambani said. "In coming years, retail will emerge as a major growth engine for our consumer business and Reliance by creating significant societal value and providing even greater choice and value to consumers and small enterprises," Ambani said in his address to shareholders. Elaborating on the future plans for the retail segment, he said: "We will further expand our business in existing markets and explore newer markets and channels while leveraging our solid foundation." Ambani further added: "Having invested in retail talent development and state-of-the-art retail infrastructure, we are in unique position to capitalise on the growing opportunity in India." Stating that organised retail in India is witnessing a new surge in optimism, he said Reliance's retail business grew by 34 per cent and reported annual revenue of Rs 14,496 crore in 2013-14. The company had reported a turnover of Rs 10,800 crore in the previous financial year. "This year, Reliance Retail has the distinction of being India's largest retailer by revenue. The business has established market leadership in all the focus areas of Digital, Lifestyle and Value formats during this period," he said. Ambani said the company continues to invest in partnerships with international retailers to significantly expand its range of offerings. "Our recent and existing partnerships underpin our accent on bringing the best global brands to Indian consumers, expanding the horizon of their retail experience and universe of choice," he added. Reliance Retail has partnered with international brands such as Hamleys, London Fog, Umbro, Cannon, Dune and Stuart Weitzman. In its annual report, Reliance Industries said the company plans to foray into unexplored markets and tap the potential of e-commerce channel this year. "Continued expansion is the way ahead. The roadmap is clear - it will be achieved by growing in existing markets and foraying into unexplored markets," Reliance Industries said about its retail business in its annual report. Reliance Retail had reported first-time profit in 2013-14. It recorded profit after tax of Rs 182 crore for the fiscal. The company operates 1,691 stores across 146 cities.